Please see attached an invitation to all Pipe Bands Victoria member bands inviting participation in the 2019 Melbourne Tartan Festival Massed Street Parade. 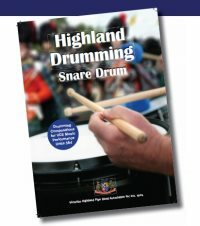 Unfortunately, although Pipe Bands Victoria has advocated strongly, there is no funding currently available to assist bands, and the Festival Committee is seeking bands to volunteer in this inaugural parade with a a hope that it will be able to be funded in future years. It is hoped this parade will become a high profile event promoting bands as part of the festival and lead to a greater awareness of pipe bands in metropolitan Melbourne. Could you please return your response to the Secretary, Ross Connolly via email at moc.c1555984474ivsdn1555984474abepi1555984474p@yra1555984474terce1555984474s1555984474 no later than Friday 3 May to assist both Pipe Bands Victoria and the promoter with the planning of the event.